When it comes to buying a UTV to trust with your life; WHO you buy from is just as important as WHAT you’re buying! Please CLICK HERE to understand why. Need a versatile vehicle to get you around your farm or work site, without the bulk or gasoline expense of a traditional truck or pick up? 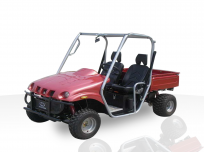 Consider one of the Utility Vehicles, or UTVs, from Joy Ride Motors. These sport utility vehicles are like golf carts (or maybe a dune buggy) – but sportier and more rugged. A 4x4 UTV is perfect for hunting, farming, or nearly any other activity you can think of that requires quick transportation. We even use a UTV at our warehouse to take customers around and everyone loves riding around in it. 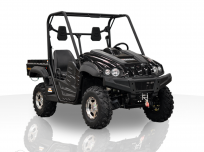 Our UTV selection ranges from 150cc engines to 1000cc engines, so any UTV for sale that you choose will have plenty of power to get you through most any terrain. Our UTVs each seat two or four passengers, with plenty of room in the back for equipment or whatever you need to haul. 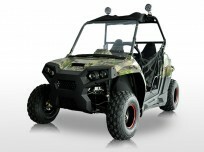 You can choose a UTV in a high-visibility color such as yellow or orange or opt for a UTV in green or camouflage for when you go out hunting. In the selection of ATV's below, you’ll find our most popular sellers from; BMS UTV & BMS UTV's, Roketa UTV & Roketa UTV's, Kandi UTV & Kandi UTV's and Ice Bear UTV & Ice Bear UTV's, which all have a proven track record for safety, quality and performance. We ‘cherry pick’ the very best models from all our vendors’ product lines, which come fully assembled, for the best price online. 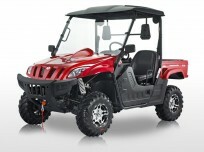 Whatever color of UTV that you choose, you won’t have to worry about breaking the bank. 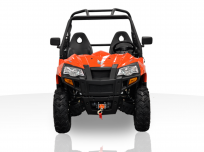 Our UTVs are some of the least expensive online, and we have the stats to prove it! Just scroll to the bottom of each UTV product page and you will see the price that other online retailers are selling the UTV at. Additionally, those prices do not include shipping and handling (which most other retailers will charge you upon check out). We always offer free shipping and handling and will never add on any extra fees or charges. Help in finding the UTV of your dreams is just a call away! Give one of our friendly and knowledgeable staff members a call today toll-free at 877-300-8707 and they’ll be sure to answer any questions you might have. 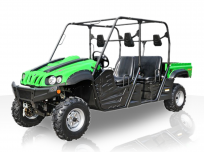 In addition to our large UTV selection, we also offer a wide variety of motorcycles, go karts, and scooters – so don’t forget to check those out too! 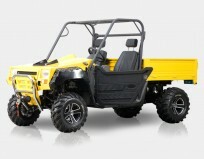 Joy Ride Motors' UTVs for sale are an amazing value. They are inexpensive but not at all cheap!